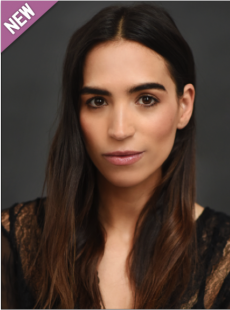 Orion Ben is a British and Israeli actress of Romanian and Moroccan descent, best known for portraying ‘Varde’ in the BBC4 Series Detectorists and her appearances in the Blade Runner 2049 prequel film. Other credits include Call The Midwife (BBC), Skins Pure (E4), Doctors (BBC) and Stan Lee’s Lucky Man (SKY). Radio Series for Big Finish include Doctor Who, The Diary of River Song, and Omega Factor.